When I moved to California 13 years ago, my primary motivation was to balance out the rarified privileged wine world I was privy to working for top-notch importer Kobrand Corporation with wines that were more accessible to the everyday person. I have always been a populist at heart, and don't get me wrong, I have had my fair share of 1896 Armagnac, 1855 Vintage Port, 1928/1945/1961 Bordeaux etc., and for that I am grateful. However, I've always been of the mindset that the more people we can turn on the pleasures and life-balancing charms of wine, the better. Given that Californian wines have over 75% of the U.S. market share in terms of sales, naturally this was the place to move, Northern California. Since my move here, I've logged close to 100,000 miles on my car exploring wine regions all over the state. For those of you who are trendwatchers, or are fascinated by packaging innovation, there have been a lot of fast-paced developments in the world of wine packaging over the last decade, with more acceleration in the last 5 years. The Tetra Pak, was made famous by producers such as Boisset Family Estates who launched French Rabbit to great acclaim early in 2006. Many producers have since followed suit and now consumers have easy access to single serve as well as crowd pleasing larger sizes. Another cool packaging innovation came to the US due to the forward thinking mandates of the Canadian Liquor Control Board, who put pressure on all its wine suppliers to lower their carbon footprint and create less weight in wine packaging (glass, boxes etc.). Boisset once again led the marketplace in the U.S. by bringing the first California wine in a PET bottle in this marketplace with Fog Mountain. 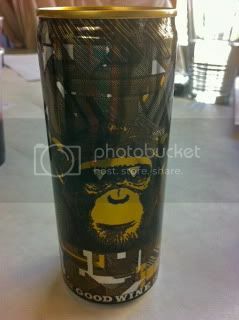 Now, we recently had the pleasure of trying wine in a can, from the Infinite Monkey Theorem geniuses in Colorado. They've managed to find the right lining and perfect match up with their Black Muscat carbonated wine in a can, made from grapes grown in the Palisades AVA of Colorado. We love the clever, irreverent packaging and the insouciant approach to enjoying wine that is good quality but that doesn't require too much contemplation. We all know with our busy lives that there are times we want to reflect, and times we just want to be entertained. Thanks to wine, and all of its varying offerings, we can find a wine to suit every mood and situation.